The Global Conveyor Closure (GCC) is a compact conveyor system closure in an element design for interrupted and continuous conveyor technique. There is just a small overlap needed around the opening at the wall. 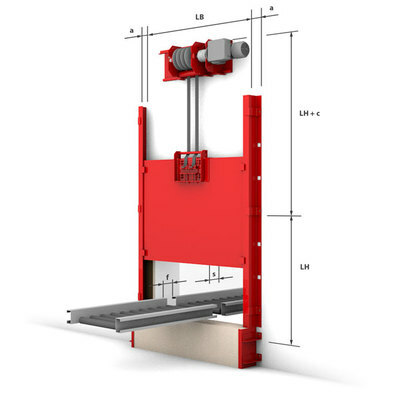 For interrupted conveying systems, just a short interruption of the conveying technique (cutting line) is requested due to the minimal strength of the slide damper sheet. 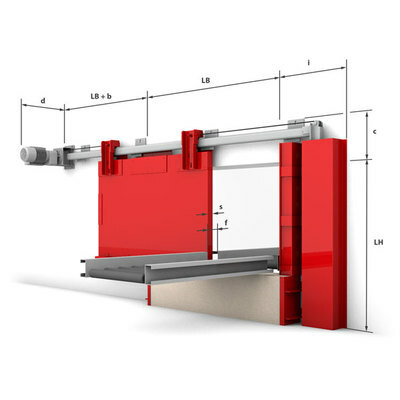 There is a wide range of surface design options for the slide damper sheet - from cost-efficient basic version consisting of untreated fire protective plates to a coloring by emulsion paints to a premium cladding of the slide damper surface by galvanized steel panel (optionally powder-coated or in stainless steel).